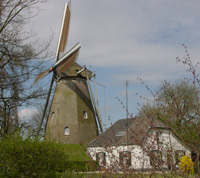 Barneveld is just one village out of 9 in the municipality of Barneveld. 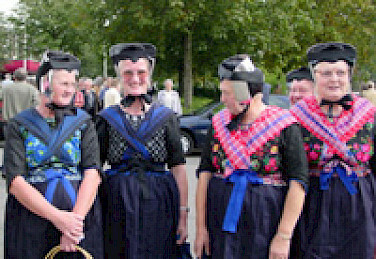 The other 8 villages are: Voorthuizen, Kootwijkerbroek, Garderen, Terschuur, Stroe, Zwartebroek, De Glind and Kootwijk. 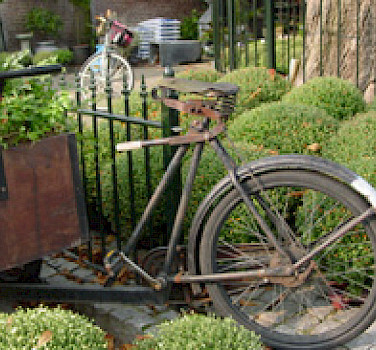 In the olden days, this well-known, friendly village with its coaching inns that serve the old Hessenweg was a resting place for tradesmen. Nowadays it has over 50 recreational centers and is a favorite vacation resort for thousands of tourists. 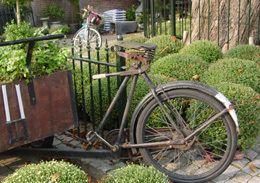 Voorthuizen offers a variety of recreation possibilities. Riding, bowling, fishing, jogging, even golfing, all can be done in and around Voorthuizen. Also not to be forgotten is a visit to its recreation center, Zeumeren, where tourists have a perfect opportunity to swim and relax. Highlight of the season is the flower parade in September. From here towards Garderen, you come through a magnificently vast wood region, which will thrill any nature lover. This village has retained much from its past and has a very gentle appearance. Even during the summer when many tourists come to visit the town, it breathes a pleasant tranquility. The old village center is very much untouched by centuries of change, and offers inspiring scenery that includes footpaths with hedges of hornbeams. No wonder lots of artists love to live within these peaceful, pastoral surroundings. Garderen is also a perfect starting point for endless walks in the woods, where in September the rutting call of a red deer can be heard. In winter even langlaufing is possible. While in Garderen, take note of the magnificent 11th century tower of the Dutch Reformed Church and the corn mill De Hoop, which guard over this wonderful Veluwse village. From Garderen, our tour continues on to Kootwijk. 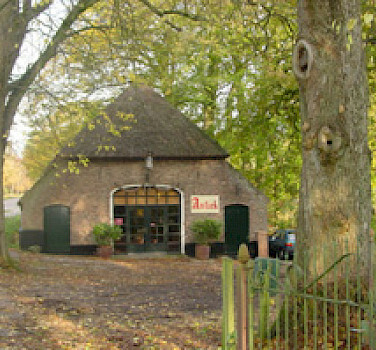 Quite unexpectedly, located in a deeply wooded area, hidden under huge ancient trees, Kootwijk emerges. It is a church village with less than 300 inhabitants and without any shops. Visiting Kootwijk is like entering another century and if you take the time to rest on one of the oak benches of the Brink opposite the 16th century Church, you can still feel in the atmosphere, the stillness of days long gone. On the wonderful shifting sands in the neighborhood of Kootwijk you can still find juniper trees growing in crowberry fields. 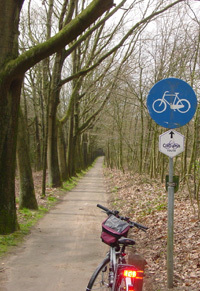 Riders, walkers, ramblers, cyclists should visit the Forestry of Kootwijk. The scenery of the whole area is never less than magnificent and occasionally awe-inspiring. 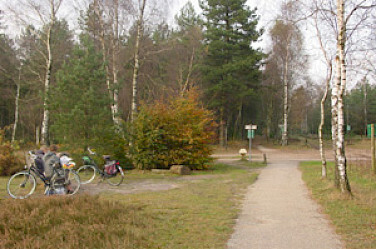 The region from Kootwijk to Stroe is filled with beautiful moorlands. On the edge of these moorlands, between green meadows and waving cornfields lies the tiny hospitable village Stroe. It is an attractive region for people who like to get away from the rush of the city as the village has many campsites. Ancient farms, sheepcotes and the old public drying house used to dry pinecone seeds give visitors an idea of how people earned a living here in the olden days. Kootwijkerbroek is an old agricultural village just between Kootwijk and Barneveld. Generation after generation people here were miller by trade. Unfortunately the last mill burnt down in 1964, but there are plans to rebuild it. On the edge of the village, you can see a church with a beautiful old vicarage surrounded by an attractive garden park with ponds. West of Barneveld, you come to the pastoral village De Glind. In 1911 vicar W.J. Rudolph started a project to lodge children, who temporarily could not be taken care of by their parents. The founder was ahead of his time. Today still 125 youths find a home in foster families and group houses. Terschuur has an old oak post mill dating from 1633. 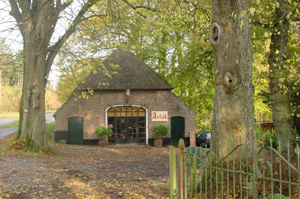 This mill Den olden Florus was renovated in 1979 and is still in regular use. Like Voorthuizen, Terschuur lies along the old Hessenweg, which lead from Amsterdam via Voorthuizen and Deventer to the German town Hessen. An ancient tollhouse as well as the splendid farmhouse De Tolboom serve as reminders of the importance of this commercial route in days long gone. Some kilometers north of Terschuur lies Zwartebroek. Zwartebroek's main industry used to be peat cutting. The very straight road pattern is a reminder of this peat cutting century. The trout farm on the Wielweg is a real attraction to anglers. Via Terschuur taking the old Rijksweg towards Voorthuizen, you come along the Museum of Ancient Trades and Toys. Just after having passed the largest egg in Holland, you take the turning to the right towards Barneveld. Would you like to see the entire region's history on display? The Veluwse Museum Nairac, across from the tower of Barneveld, offers an interesting and historical perspective.